Detailed hand drawn vector fish. Mullet seen from the side, thin outline around the whole body of the fish. Big fins and tail on the mullet design. 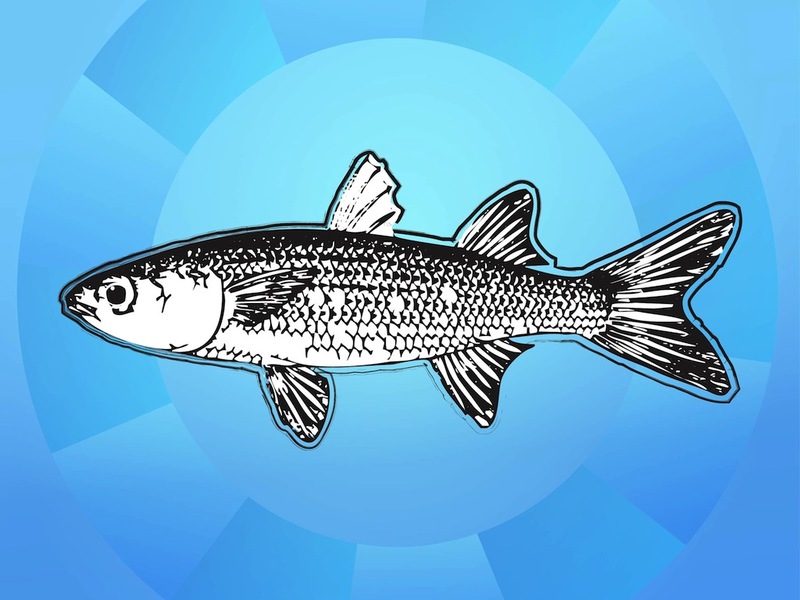 Free vector illustration for all kinds of fishing, cooking fish, wildlife, wilderness and aquatic animals projects. Mullet graphics for a logo, sticker, brand mascot or T-shirt print. Tags: Animal, Aquatic, Fins, Fishing, Mullet, Scales, Tail.